There’s a problem here, but it’s certainly an understandable problem. It comes from, dare I say, a trick that we all teach. And it’s a trick we all think isn’t one – adding the same thing on both sides of the equation. When I did my research project in grad school, I found that many students like the elimination method of solving a system of linear equations because of the way the elements lined up and made it very clear what to do – and this was true of students who used elimination well but could not solve a linear equation normally. It was then that I realized that elimination is actually the core of what we teach about solving equations – we just gloss over it. It all comes down to two properties of equality: the reflexive property and the additive property. 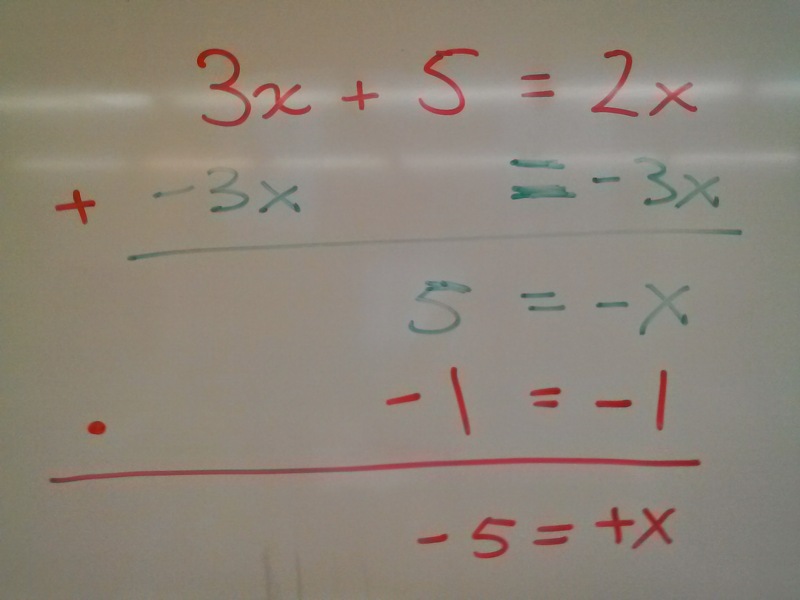 But the same thing is true when we normally solve a linear equation. It’s just that one of the equations is generated using the reflexive property. 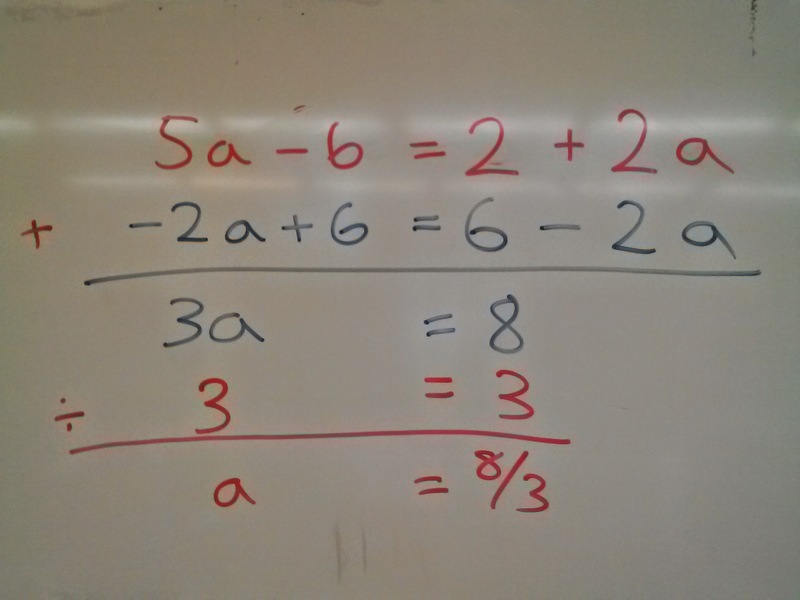 So actually a lot of things about solving equations become clear when I use elimination, which is why I try to introduce those ideas earlier. 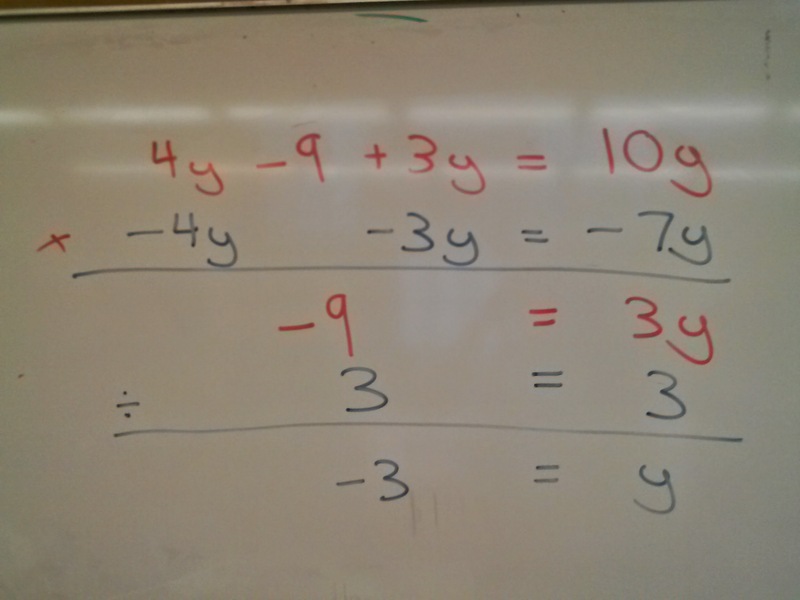 The goal here is that if we always have two equations that we are adding together (or subtracting, or dividing), then we can eliminate those mistakes where students add the same quantity twice on the same side. But it’d be great if they were introduced even earlier than when I do it – such as in middle school. Diving deep into the properties of equality, along with rate/ratio/proportion, are probably the two most important things for preparing for algebra. And then you’d solve from there. But I realized that that’s not strictly necessary. Instead, we talked about what 3 red potatoes are worth, and wrote that as an equation, too. So now we had 2 equations, again, and we could use elimination.